Global human rights monitoring organization Human Rights Watch (HRW) has issued a report saying that LGBT asylum seekers reaching Spain’s northern African enclave of Ceuta are singled out for abuse as part of an effort by authorities at Ceuta’s Centro de Estancia Temporal de Inmigrantes (Temporary Stay Center for Immigrants, or CETI), to discourage asylum applicants and delay their transfer to the Spanish mainland. Human Rights Watch said that during a March visit to the Ceuta center, which is designed to hold 512 people at any given time, the organization’s investigators noted serious overcrowding, with many of the total 943 residents being housed in large tents set up on a basketball court and others sleeping in classroom or group activity rooms. Most migrants who reach the detention center and do not apply for asylum are transferred to mainland Spain at a regular rate, then placed in detention centers or NGO-operated shelters pending deportation hearings. But, asylum seekers who under the terms of international refugee law cannot be automatically deported, are being held in Ceuta for months on end and are being systematically denied access to mainland Spain, HRW says. 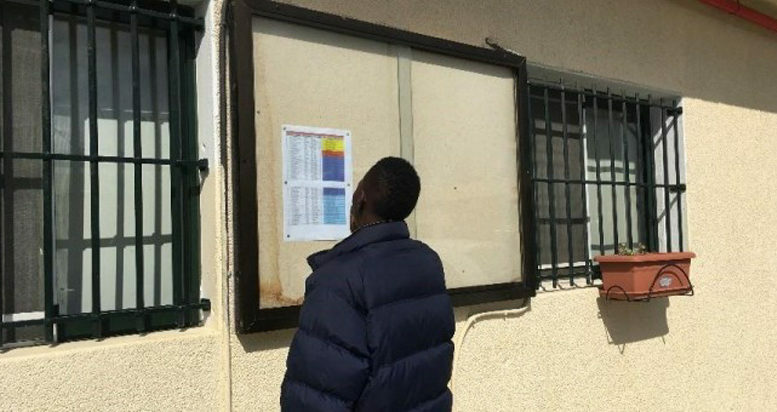 Of the 943 residents during the HRW visit to Ceuta in March, about 70 to 80 were asylum seekers, at least 10 of whom have filed for asylum on the grounds of discrimination based on sexual orientation or gender identity. In many African and Middle Eastern countries, homosexuality is a crime and is punishable by lengthy stays in prison and fines. According to HRW, the LGBTT asylum seekers in Ceuta are regularly subject to harassment and abuse by the center’s guards. The organization has urged the Spanish government to transfer them to the mainland without delay and to halt its policy of blocking access to the Spanish mainland by asylum seekers.